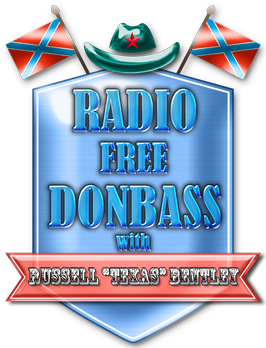 Russell “Texas” Bentley: Russian - German Brotherhood. And Human Aid. Wo dein sanfter Flügel weilt." where your gentle wings abide." 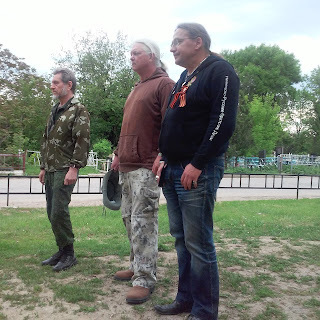 I have spent the last few days (and nights) with Manny and Sasha, two German anti-fascists here in Donetsk on a human aid mission. 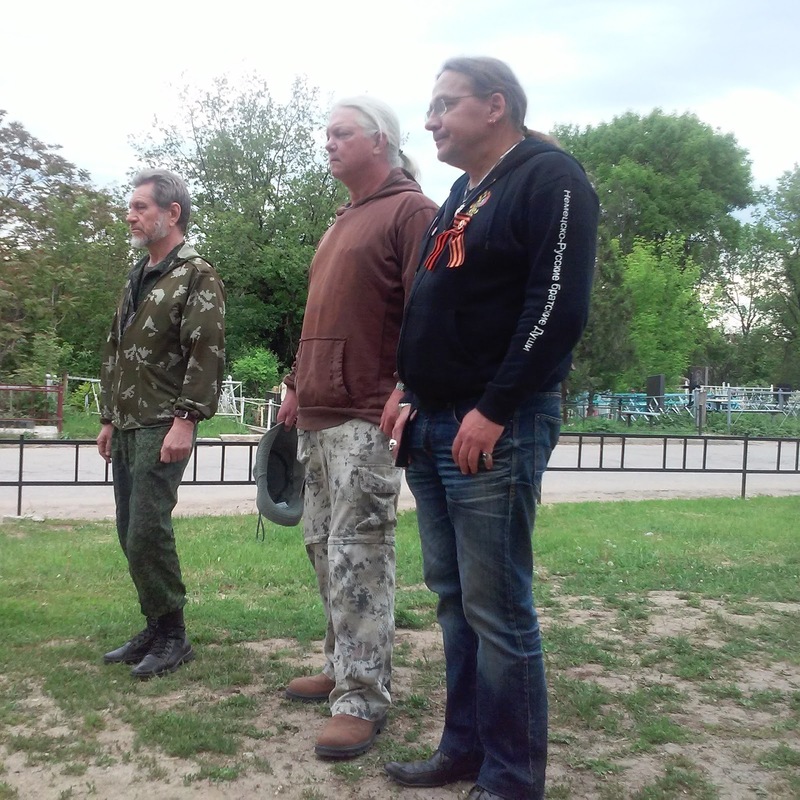 I met them in Rostov last Thursday, and we agreed to meet in Donetsk the next day. When I got back to Donetsk about 10 PM on Friday, I opened my computer to find they had been stuck at the border for 30 hours. 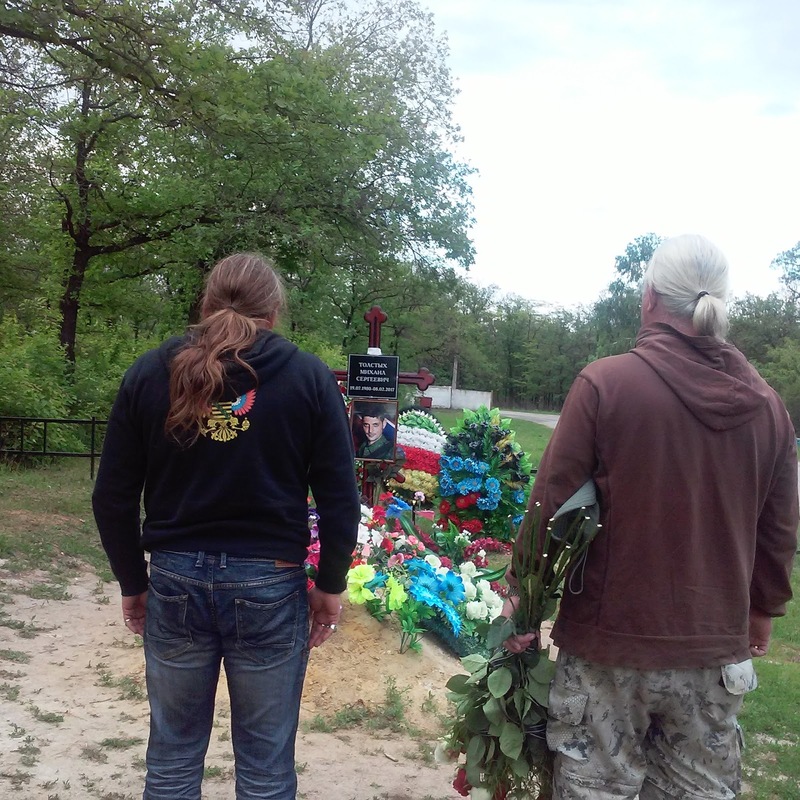 They only had a 2 entry Russian visa, so if they went back to Russia, they could not come to the DPR. The punks who were responsible for getting them into the DPR had totally fucked up and just left them there on the border. For 30 hours. I was there to get them less than 4 hours later, and after a long midnight ride, we got to Donetsk just as the sun was rising. Thanks to my friends in the Administration and "My Good Buddies" who helped! Sasha is a professional musician, and I have enjoyed jamming with him. But they did not come 3,000 Km from Berlin just to party, so today we got to work. They brought money from Germany - from Spendaktionen fur Novorussia and also the Russian-German Brotherhood, specifically to help kids here, and today, that's exactly what we did. SfN gave 800 Euros, and RGB gave 500. We bought a new desktop computer for Teremok orphanage, along with some yogurt, fruit and sweets for the 50 super sweet kids there. We got a good deal on the computer, 1 year warranty and 10% discount. We got a discount on the food too, from First Republic Supermarket. Everyone here is happy to help kids. That's our main focus, and that's EVERYBODY'S job - making a better world for future generations. We also bought school supplies for two schools in the Petrovsky District of Donetsk. My wife is from there, and used to teach there. It is one of the most heavily bombed neighborhoods in Donetsk, and the kids there need school supplies. We went to the best place in town for school supplies - right behind the Donetsk city jail. (Remind me to never go to jail in Donetsk!) We bought paper, pens, pencils, art supplies, rulers, erasers (hey, nobody's perfect!) stuff for students and teachers. We also bought volley balls, basketballs and soccer balls. And 7 boxes of vital medicine for a kid with epilepsy in Petrovsky District. Nobody else could help, so we did. We delivered the computer and food to Teremok as the sun was going down, after a looooong day. 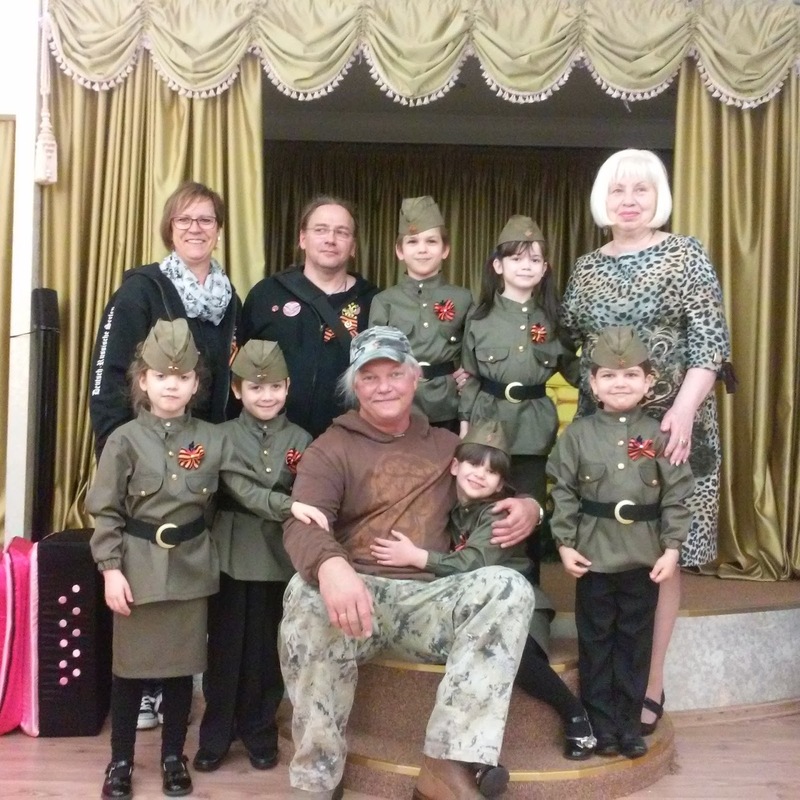 The kids did a short performance from the recent Victory Day and Day of the Republic. It was really impressive - those 6 year olds can dance better than I can! I always love seeing the kids there, and am glad we could help. It is a great place, but the Director explained that there are not nearly as many supporters as there once were, so they really need and appreciate our help. I wish every orphan kid in the world could be taken care of by people who care as much as the Teremok staff does. I am very proud to be working with them, helping to take care of some really beautiful kids. Tomorrow we deliver the school supplies to Petrovsky. There's some beautiful kids there too! Video (made with my new vid cam) coming soon. Stay tuned!